Hello, it’s been a while since we posted anything on the blog. We have been receiving a few early Fall arrivals. So in the spirit of getting ready for the change of seasons, we thought we would show you how we would wear our favorite boot, the Chelsea Boot! A classic style that can be worn with virtually everything. Versatile and comfortable! A big trend for this season is animal prints. These Officine Creative boots would look great with a pair of kick flare jeans and a long cheetah/leopard print vest. Another fun Fall trend is mixing plaids and checks together. 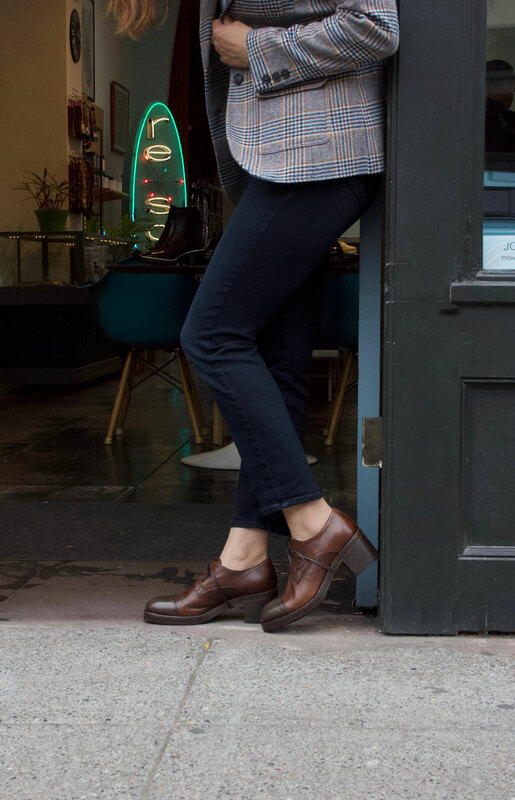 These Fiorentini and Baker boots are perfect for this casual look. Wear them with your favorite denim and plaid shirt. A leather dress is a must for the dressier side of creative work attire. Wear these fancy MOMA boots with tights and an oversized sweater to top off the look. What do you think? Are you ready for Fall yet? Thank you for stopping by and hope to see you at re-souL soon!